I absolutely detest the horrific attacks that occured on Friday the 13th of November in Paris and my heart goes out to all the lives that where lost and to the family members and friends of the victims. But in spite of that I don’t feel it’s okay to enlarge this attack and give it so much more media coverage and attention than all the other terrorist attacks that happened this year. If you want to find out more about the other attacks, you can visist this Wikipedia page. Right now Facebook is swamped with profile pictures with an overlapping French flag. I think it’s a good thing to let the world know your heart and prayers go out to the victims of this heinous act of terror. But since I strongly believe it’s not right to give a western country that is a victim of such an attack so much more attention than any other country, like Libanon (where terrorists killed 43 and injured 240 the day before Paris) or Baghdad (where terrorists killed 19 people on the same day as Paris), I did not want such a French flag overlay. I wanted something else with all the flags from every country in this world. Wich I found in the peace sign deisgn from Swedish composer and artist Ulf Enhörning, which you can find here. With this profile picture I want to make a statement that every victim counts in every country. And that I believe in peace, hope and love. For everyone, every sentient being living on the face of this earth. 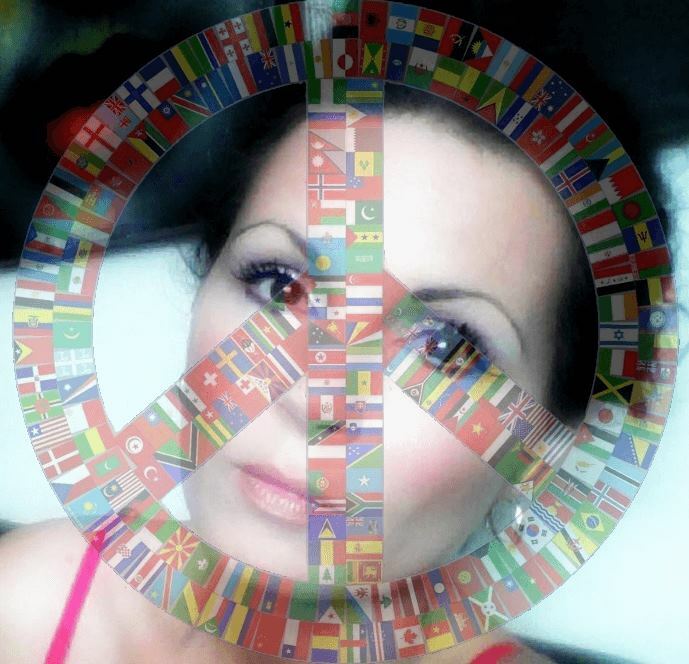 If you feel the same and would like a peace profile picture, this tutorial is for you. 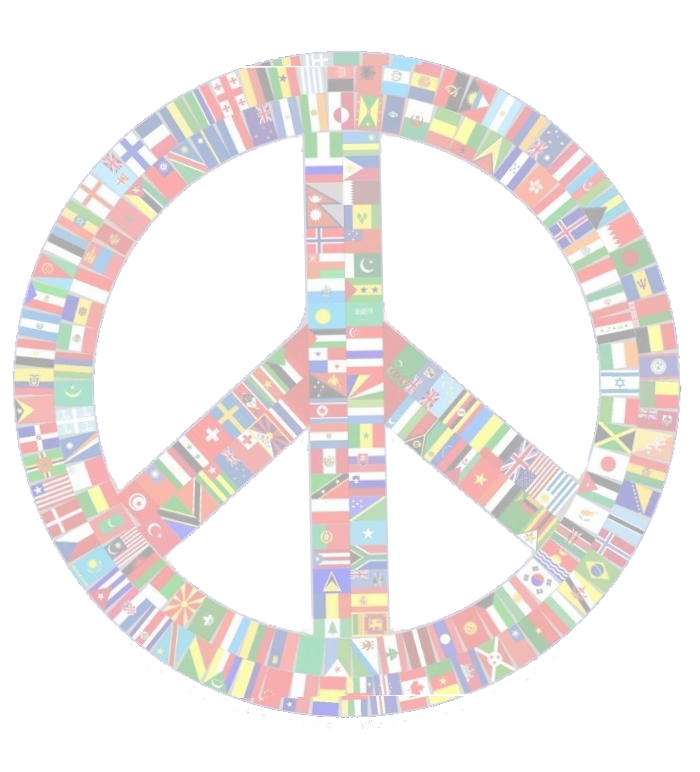 First you need to download and save the below peace picture which I made transparent and opaque. Secondly you will have to download free photo editing software if you don’t have any. I have used paint.net which you can find here. make sure you click on ‘Get paint now’ on the right with the DOWNLOAD LINK below (You will see the latest version which today is 4.0.6). Go to ‘file’ on the upper left of your screen and click on ‘open file’ and choose the above peace image you have just downloaded to your computer. Go to Facebook and clik on your desired profile picture. On the lower right you an see ‘options’. Choose ‘download’ and save the image to your computer. In Paint.net click on the category ‘layers’ menu upper center and click on ‘import from file’ (Since I am working with the Dutch version it says ‘importeren uit bestand). Choose your desired profile picture (a tip from the designer of the peace sign: make your profile picture a black and white one so the contrast with the peace flag is better!). Now the profile picture will overlap the peace sign. What you will do to bring the peace sign to the front is the following: In the lower right corner of your screen is a smal field that says ‘Layers’ and right there you can see both the peace sign and your profile picture. Now click on the BLUE ARROW which will move your profile picture to the back. Now adjust where you want to have the peace sign on your profile picture. Click on’file’ and than ‘safe as’. A window will appear and you can name your picture AND (!!!) choose the extension safe as .PNG (!!!).) This is important. Click on ‘file’ and choose ‘open’ and click on the image you have just saved in Paint.net.This will open your image in Paint. Now click: Ctrl + A, Ctrl + C, Ctrl + V Which will make your image movable. Adjust your image how you want it and click on the right area besides your image. At the right side and bottom of your picture a very small white square will appear. You can use both these squares to adjust the width and height of your profile picture. If you are satisfied with the result, click on ‘file’, ‘safe as’ and choose to safe as .JPG. Your peace profile picture is ready! Many thanks to a great artist that made this peace sign, Ulf Enhörning. You can visit his website here and the peace sign here.